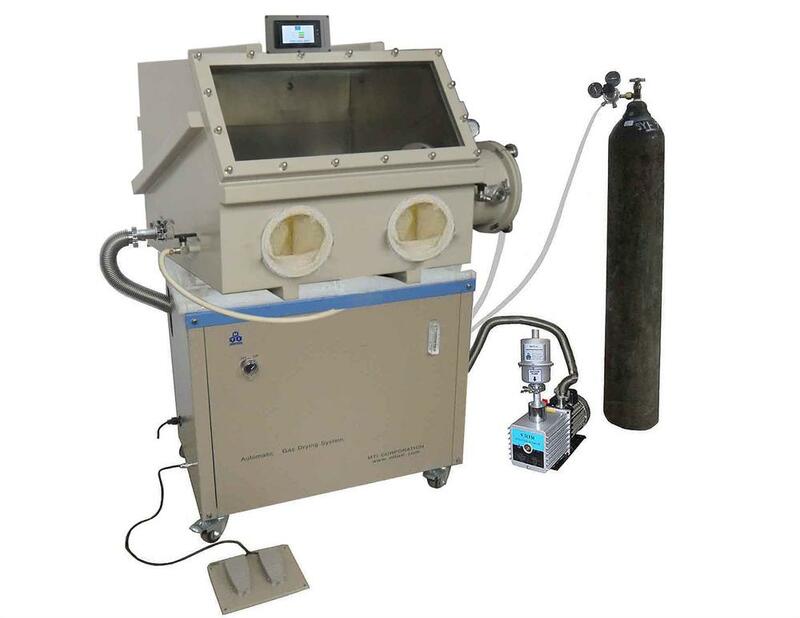 EQ-RMP-1 Automatic Recirculating Moisture Purification System can provide an oilless, dry gas environment with moisture concentration lower than 2 ppm for MTI's stainless steel glove boxes (VGB-3 and VGB-4A). 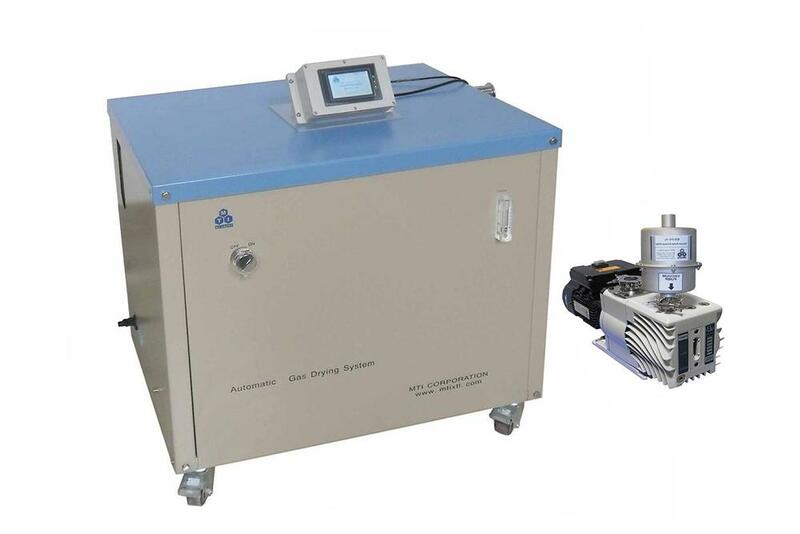 It is an ideal tool to assemble Li-ion cell for R&D, such as electrolyte injection and battery case assembly. The system is very compact and easily fits under the glove box. It contains purification material inside the purification cylinder to soak gas moisture during the recirculating process. 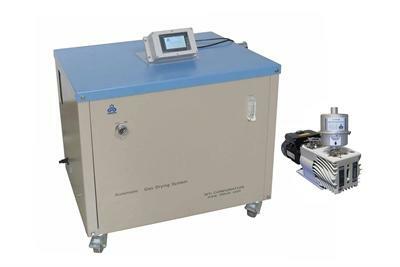 When moisture is saturated with the purification material, regeneration temperature controller can help regenerate the purification material for extended usage.